Brussels sprouts have a taste that really packs a punch. 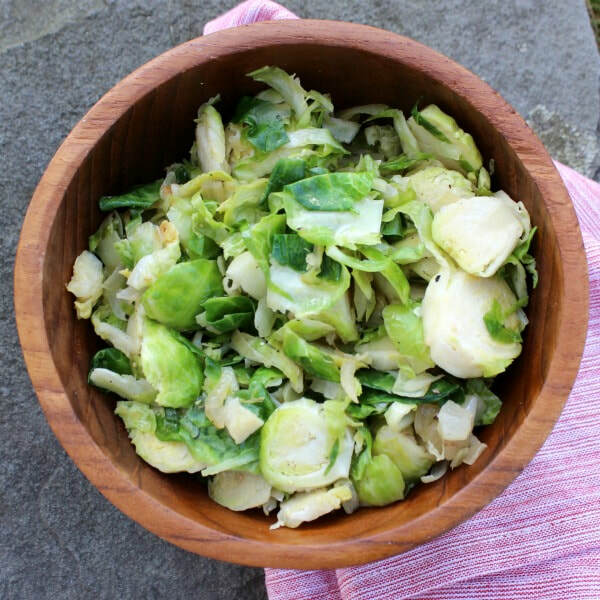 Loaded with vitamins C & A, this Zesty Brussels Sprouts recipe is the perfect, simple side dish. If you would like a slightly different taste, try Roasted Brussels Sprouts. Cut off the ends of Brussels sprouts and throw them away. Slice the sprouts into thin disks (or however you choose). Dice the onion. Pour olive oil into a skillet over medium heat. Add onions. When onions are cooked (slightly see-through) add Brussels sprouts. Let cook for about 5 minutes or until sprouts are getting browned. Remove pan from heat, squeeze lemon juice into the skillet, and stir.